Later, when I was flicking through the photos I’d taken, I couldn’t help being struck by their graphic quality – the picture above is merely cropped, nothing else, – but to me it looks like a pencil and charcoal study on a textured watercolour paper. And this is where I was walking. 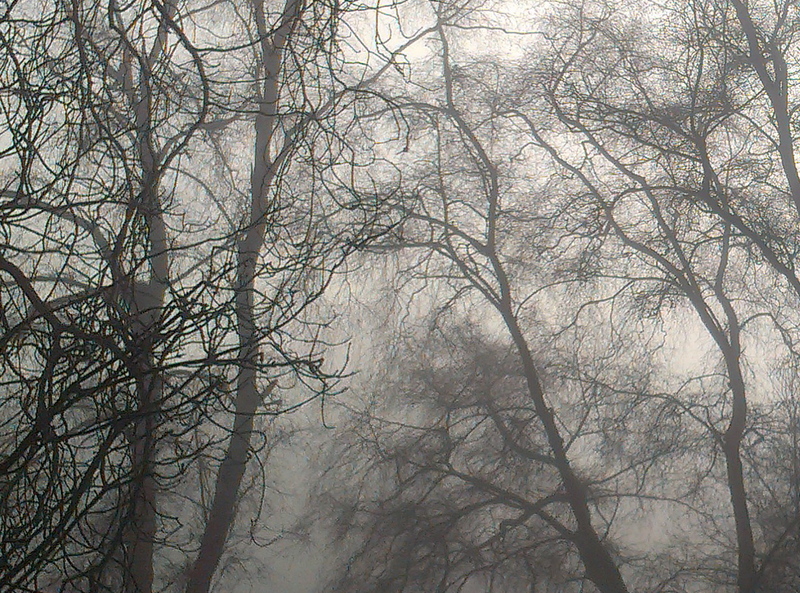 It was atmospheric – I love the way the weather provides such variation. I drove out after fog and every tiny twig held water droplets that were catching the low light … it was magical, but also very black and white … sadly I didn’t have my camera. Oh I know what you mean – I often stand and stare at raindrops, so magical, but I’ve never yet managed to take a decent picture – it was very drippy yesterday, but worth it. Gorgeous place. I love photos that look like drawings/paintings. Totally accidental – but I love the smudgy effect it seems to have. 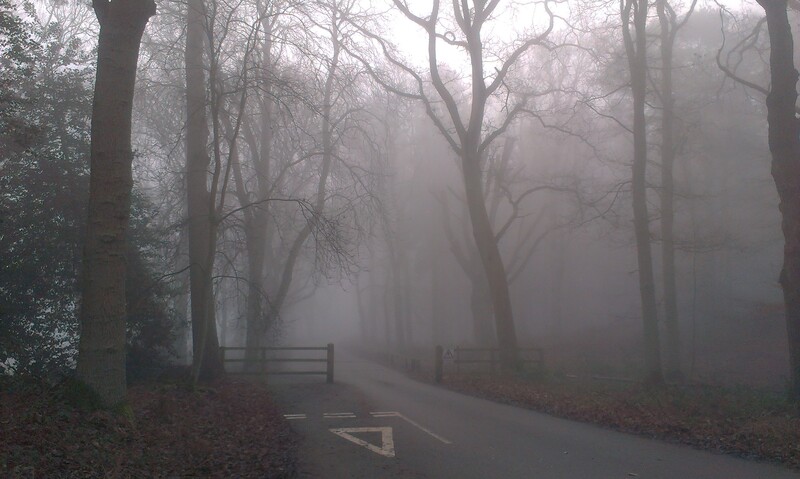 Very atmospheric. When I drove to work this morning there was swirling mist in the valley with the sun above. Nature is incredible at setting a scene! I wish I had the skills to recreate it, but I know when I’m beat! Would you believe it, I used to have a yoga teacher called Dancing Trees – absolutely true! Wow, those are really beautiful, Anny, particularly the first one! It looks like a charcoal study, as you say. It was a surprise really – so grateful for digital photography and the ability to crop and zoom.